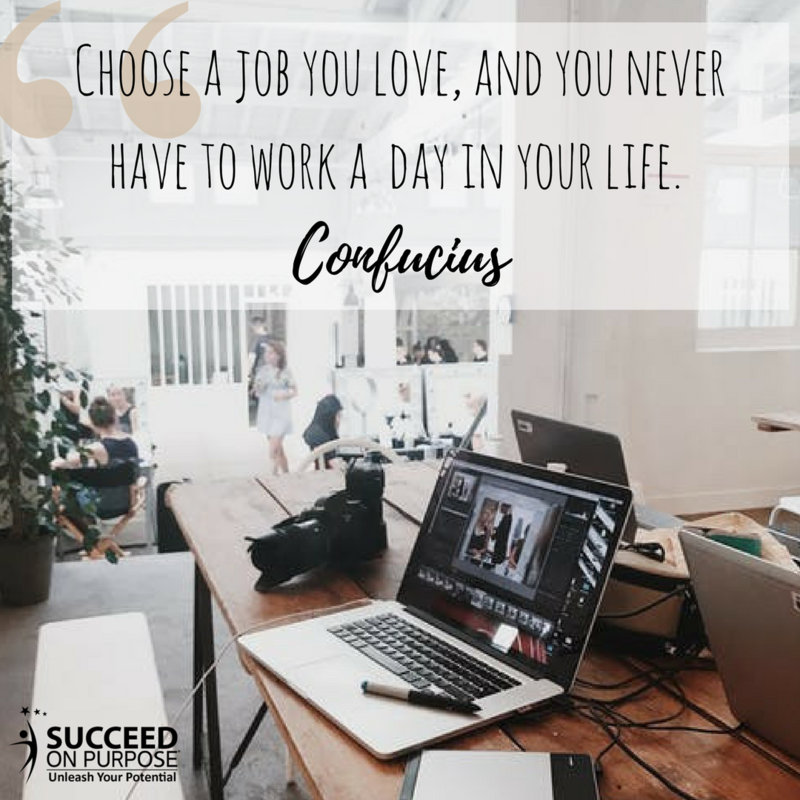 I didn’t know then what I know today, that I could have served myself better had I taken the time to uncover my true passion and the steps necessary to find meaningful work. I admit it, I’m a slow learner. Since “Bewitched” was my favorite TV show growing up, I knew I wanted to become the female version of ad agency executive Darrin Stephens. Darrin’s wife Samantha was truly the brain behind Darrin’s success, so pursuing a career as an advertising executive seemed plausible to me. My decision to choose advertising as a career led me to journalism school at the University of Minnesota, where I studied advertising management and copywriting. Unbeknownst to me, that copywriting thing would serve me well in 2012, when I found myself looking for work. You see, my dream of becoming the female Darrin Stephens was quickly hijacked when I somehow ended up working in sales – for more than two decades! Why sales? I did it for the money and money alone. It certainly wasn’t out of a desire to find meaningful work. The entire time I was trying to be a great sales rep, deep down inside, I knew I was living a lie. This lie led to constant waves of anxiety that I felt everyday – whether I was racing to the airport to catch a flight to Kansas City or panicking because I was falling short of my sales goals. After a couple of years working as a sales rep for this employer, a custom publisher, the VP of marketing sat me down and suggested that I switch to the client services department. I knew if I said no, she would show me the door, so I said yes. Let’s be real, I still didn’t get it. I wanted to climb the corporate ladder, manage people and eventually get a prestigious VP job. Remember, I thought if I worked hard, I would be rewarded. The trouble was, I wasn’t working SMART, because I wasn’t focusing on my passion, which is writing content that changes people’s lives for the better. Of course, I didn’t realize that was my passion at the time. Long story short, after working hard – but not smart – for the same company for eight years, I became frustrated because I was going nowhere. SURPRISE! This resulted in me being extremely unhappy, stressed out from working long hours and fearful that the guys in the white coats were coming for me. That’s when the company forced my hand again, by showing me the door. Boy did I feel like a failure. So in 2012, I started applying for jobs, hundreds of jobs – no lie. That’s also when I fell into a freelance writing gig by accident. With no “real” job materializing, I kept freelancing. Then the realization kicked in that I could make a go of this writing thing, on my own, as a solopreneur. So I reached out to my mentors and several successful leaders I knew, trusted and respected. They helped me set goals and formulate a plan to market myself to and through my connections, online and by attending networking events. One of the networking events I began attending regularly was SHARE Affair, which the parent company of Succeed On Purpose holds regularly. That’s also where I met Terri Maxwell, CEO of Succeed On Purpose, who invited me to write for her companies in 2014. Through the years, I’ve benefited from Terri’s coaching, both one-on-one and in group or team settings. Trust me, if you’re in an elevator with Terri, she’s going to pass some wisdom your way, whether you realize it or not. A coach has to coach, and that’s what Terri does. Learn from my journey. If you’re unhappy with your current job situation – no job, wrong job, unrewarding job – resolve to do yourself a solid this year. Don’t wait 20+ years like I did! Make a commitment to invest in yourself and find your true passion today, so you can have more tomorrow. You deserve it.Growing up in Minnesota, I always had a simmering desire to run my own business and control my own destiny. I say simmer, because this desire was suppressed by what children of the 60s were taught about finding success. Go to college, work hard, and you will be rewarded.